Don’t Mess with Mold – Get It Checked! You find some mold on your wall, and scrub it with some borax and a sponge. All good? No! If you can see the mold, it’s already been growing in your floors and drywall for ages..
Have it checked out – healthy people die from poisonous mold. Contact ERS today. ERS provides expert mold removal services in Wisconsin and Illinois. After your building undergoes water damage, it is extremely important to have a complete inspection for mold. When it begins to develop in your home or business, mold will produce dank, musty smells and contaminate parts of your building. Over time, mold spores in the air will create respiratory problems or serious allergic reactions. ERS will come in and stop mold growth in its tracks to prevent mold from fouling up the air in your home or business. Our Wisconsin and Illinois mold removal technicians will arrive quickly to ensure you have clean air to breathe. When the mold remediation specialists from ERS arrive, we take every step necessary to ensure mold is not only removed, but also won’t gr ow back. Sometimes mold grows in hard to reach places like beneath wallpaper or behind wood floor boards. Our technicians are extra thorough with inspection, removal and restoration to ensure you and your family will not suffer health risks from mold growth. ERS has been restoring homes and businesses for over 25 years. With this experience and our dedication to excellence, we have achieved an A+ rating with the Better Business Bureau. When you contact ERS, expect us to arrive promptly regardless of the time. Our IICRC-certified technicians are ready to go 24/7 to serve you in remediating mold growth or to restore your building from fire or water damage. Time is of the utmost importance. With every minute passing by, more damage is done to your home and valuables. Secondary problems will start setting in – like advanced water damage, water seepage & wicking, and mold growth. For this reason, ERS is available 24/7. We know disasters don’t accommodate personal schedules. When disaster strikes your home, give us a call and we’ll rush over straight away and get to work mitigating and restoring the damage. There is nothing unusual about mold growth in the home. Mold is actually a critical part of our ecosystem—they help decompose dead organic matter. However, you definitely don’t want a significant buildup of the stuff. It could eat away at the structure of your home and decompose your possessions. Not good. If your answer is “yes” to any of the following questions, you may have a mold problem. Can you see it? Check spots in your home with lots of moisture, like your kitchen, bathrooms, laundry area and basement. Can you smell it? Does it smell sour or musty in damp areas? Follow your nose—the smell is usually the first indicator of mold growth. Is there evidence of water damage, condensation or excessive moisture? 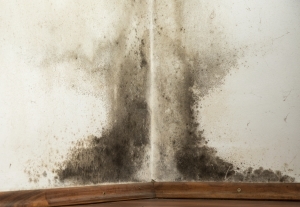 If structures in your home are wet for more than a day, there’s probably mold growing somewhere. Mold growth can be hidden. 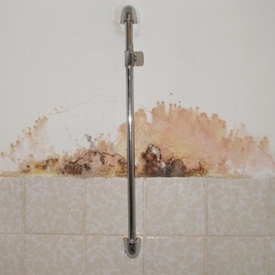 If any area of your home experiences extensive exposure to moisture, mold will grow. You may not see it or smell it, but it can be there. Know where the water tends to collect and cause problems in your home. Mold is often found in air ducts of Wisconsin homes and businesses. The changing weather of drastic seasons means your HVAC system is likely producing moisture you can’t see, and cultivating the perfect environment for mold growth. If mold is growing in your ventilation system, spores are being circulated throughout your home and contaminating the indoor air quality. Symptoms of mold include allergic reactions (sneezing, runny nose, itchy eyes) and asthma or respiratory issues. Depending on the level of sensitivity, some may even experience a rash or hives. Chances are, no. Testing for mold probably won’t tell you anything you don’t already know. Mold testing may be able to document the type of mold, but this isn’t entirely relevant. You want it gone, no matter what kind of mold it is. If your home exhibits the common symptoms of mold growth, it’s probably there. Any time or money spent on testing for it is better spent on getting it remediated. There are occasions when testing for mold makes sense. A health concern may require a particular kind of mold be identified. Testing may be required for litigation, most often to document reduction in mold levels with removal and cleaning. But, for the most part, it isn’t worth it. If you think it’s there, it’s probably there. Contact our mold remediation experts and get it cleaned up before it becomes a big problem. The problem with this question is that “black mold” is a catch-all term covering a lot of ground. Some mold can cause health problems, but not all kinds of black mold. Black mold is not a species or specific kind of mold. 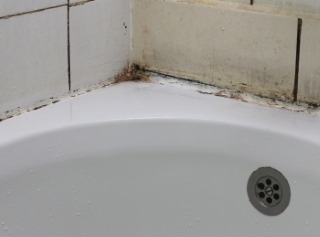 Black mold often refers to certain types of molds which can produce compounds with toxic properties called mycotoxins. Whether or not mycotoxin is produced is a matter of where the mold is growing, temperature, pH, humidity or other factors we don’t yet know. The short answer—the presence of “black mold” doesn’t necessarily mean it’s dangerous (mycotoxins are not always present). There just isn’t enough information available on mycotoxins—how they’re produced or what effect they have—to make any definite conclusions. We do know mold very rarely causes unique or rare serious health conditions. Should I Contact a Professional for Mold Removal? Minor mold problems easily seen and accessible, usually covering an area of 10 square feet or less, can be remediated easily in a few hours and a trip to the hardware store. However, if you suspect the problem is worse than it appears, consider contacting our professional mold remediation contractors if any of the following conditions apply to your home. If the size of visual contamination takes up half the ceiling, attic or wall. More than a few isolated areas of mold means you have a significant problem on your hands and need the help of professionals. If you smell it, but can’t see it. Mold may be in an inaccessible location, like in a wall cavity or above a suspended ceiling. Leave it to the professionals to go after hidden mold in tough places. Floods—if you’ve had standing water in an indoor space for over 24 hours, you need a professional to perform an assessment according to established guidelines. You have inhabitants who lack a healthy immune system. Special set-ups and procedures may be necessary to make sure you aren’t putting someone at risk. Contact our professional mold remediators if you have any doubt. You can trust us to give you an honest assessment of your situation and help you decide whether you need professional mold remediation services. Stachybotrys is a fairly slow-growing mold. The presence of this mold may cause allergic reactions in sensitive individuals. Stachybotrys, like most molds, flourish in dark, humid areas. No cases of human or animal infection are known to have occurred. Penicillium often causes allergic and asthmatic reactions in humans. Cladosporium produces a black pigment as it grows. The fungus often becomes powdery due to the high levels of conidia. It’s common for other types of mold to be present when you find Cladosporium in your home. Contact the mold remediation experts at ERS today to keep your home and business free of mold and the health risks it causes.